Wits University SRC president Mcebo Dlamini is unapologetic about his comment that he loved German dictator Adolf Hitler despite an outcry from the Jewish community on campus. "I am puzzled and shocked by the response from the white community... If indeed the Israelites hate Hitler so much... why are they emulating Hitler in that they are subjecting the Palestinian children to discrimination, segregation and human indignity? "The same thing Hitler was doing to the Jews, they are doing to the Palestinians," he told News24 on Tuesday. He admits that it would be ignorant of him to ignore the fact that Hitler had committed atrocious crimes against the Jewish people. However, what he admired, he said, was the German's leader ability to organise a nation and get the people to rally behind him. Dlamini points out that Hitler only started killing people once he had got into power. "He started killing people when he was already in power. Power had corrupted him. It has corrupted [Israeli prime minister] Benjamin Netanyahu, it corrupted [former US president] George Bush, it corrupted [former UK prime minister] Tony Blair..." he said. "It would be naive, ignorant on my side to believe Hitler kissed the Boer, he committed gruesome acts against humankind," Dlamini said referring to EFF leader Julius Malema's new rendition of 'Kill the Boer'. "I'm deciding to look at the good Hitler stood for. 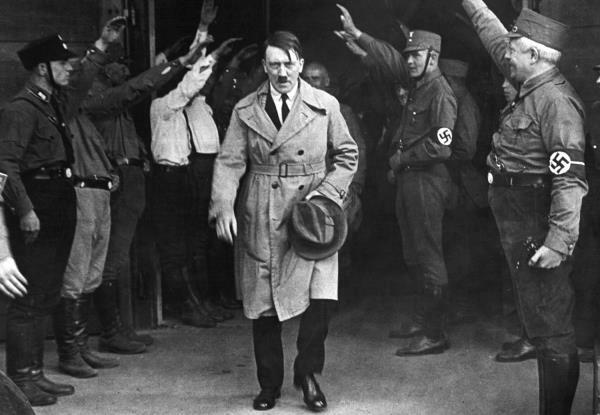 He rebuilt the country, the economy, the infrastructure, he uplifted the spirit of Germany." But the SA Union of Jewish Students is not accepting Dlamini's explanation. "It's absolutely disgusting that in light of the recent xenophobic attacks... he [Dlamini] turns around and starts marginalising certain groups which is counter to what our government is pushing and Africans [as a whole]," SAUJS national chairperson Natan Pollack told News24. "His argument really is that Hitler is a great organisational leader but you can't look at one trait of a person." Pollack said the comment, which was posted on Facebook, was anti-semitic and unconstitutional. "We don't want this kind of person in our university or our country." Dlamini, however, argues that the SAUJS should have engaged with him or debated the matter, but it was too late for this. "How can you engage with people who are already raising up a bush knife... they didn't say let's talk. "The minority wants to dictate terms to the majority. Only in [South Africa] can this nonsense happen," he said, referring to the SAUJS's call for him to be removed as SRC president. Dlamini stands by the fact that he is democratically elected and removing him would be undermining the students who voted for him. "This is hypocritical, they are showing their true colours. They are the minority but they want to recall a democratically elected president." Pollock said the SAUJS would be approaching the university to deal with the matter and ask it to remove Dlamini. "We will take internal procedures. We would like to see him removed from his position of leadership."